The Jesus and Mary Chain, Psychocandy. These Scots are playing their classic ’85 album in full at a Miami concert on Friday, so I wanted to brush up on the disc. Lykke Li, I Never Learn. Heard it on a plane while traveling overseas. Needed a break from watching, er, suffering through Transformers: Revenge of the Fallen. Wildcat! Wildcat!, No Moon at All. The self-titled EP is slightly better, but to me, these guys still sound like the second coming of MGMT (who are really just derivative of a number of ‘60s psych groups). Recommendation from a friend. n. Lannon, Falling Inside. Heard “Another Love” on a local college radio station and was hooked on this ex-Film School guitarist’s brand of electronic-folk. Why are so many great artists coming out of San Francisco right now? Kurt Vile, B’lieve I’m Goin’ Down. Super-excited for the new record from Vile, who made my personal Best of 2013 list with Wakin’ on a Pretty Daze (#1, in fact). Amy Winehouse, Frank. I’m still reeling somewhat from the Amy documentary. A fine reminder of her talent before all the hoopla set in and did its damage. P.S. I know this collection is particularly white, and I know I should use Spotify, Pandora, etc., more, but I’m never on my laptop or phone for long enough periods of time. Any other suggestions out in the Webosphere? I wrote a feature story about Hollywood, FL-based retro-rockers Beach Day for The Miami Rail. Give it a read, and give ’em a listen/view! The reason I’ve punctuated this post with a question mark is because I don’t think La Roux ever really needed to make a comeback at all. 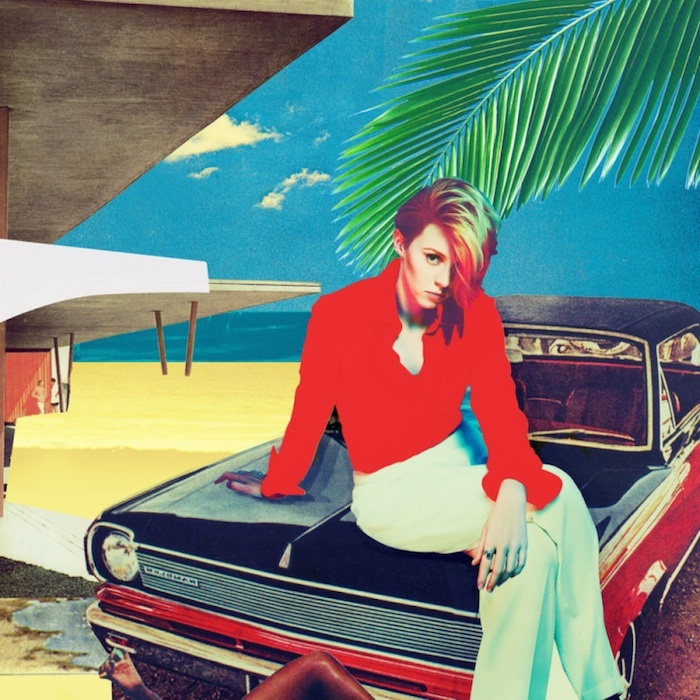 For starters, she (I’ll use La Roux and Elly Jackson interchangeably, since – in my mind – they’re essentially the same entity) has released only one full-length album so far, the chart-topping, single-laden, Grammy-winning La Roux, in 2009. So why does mainstream media keep framing her sophomore release, July 2014’s ironically titled Trouble in Paradise, in terms of a “comeback” narrative? Certainly, the five-year gap between records spawned some listener concern, which intensified following news that Jackson had split (rather bitterly, according to this report … and this one) with longtime collaborator Ben Langmaid. Then a Guardian feature published in May detailed revelations about Jackson’s struggles with severe panic attacks and performance anxiety, conditions that developed in the wake of La Roux’s meteoric success. Check out the new Clips section for a little extra reading!